The State Department wants to send at least 15 Cubans to graduate school in the United States so they can "more effectively establish, lead, manage, and grow independent organizations in Cuba." U.S. officials are seeking a public or private university to carry out the $1.5 million project, called the Cuban Nonprofit Management Scholarship Program. The United States Department of State, Bureau of Western Hemisphere Affairs (WHA) announces a Notification of Funding Opportunity (NOFO) to support a U.S.-based scholarship program for graduate-level education focused on nonprofit management for Cubans with up to $1,584,158 in FY 2014 Economic Support Funds for a project period of four years. The anticipated start date for this activity is September 2015 and one award is anticipated as a result of this NOFO. WHA invites U.S. public and private institutions of higher education or U.S. nonprofit /non-governmental organizations having 501(c)(3) status with the IRS or an equivalent official status to submit proposals. 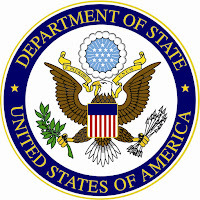 The program will support the U.S. government’s foreign assistance goal to empower Cubans to freely determine their own future by increasing human capacity, promoting community-level engagement, and expanding civic society networks by administering a scholarship program for graduate-level degrees or certificates in nonprofit management in the United States for at least 15 participants. The program will build the capacity of Cuban individuals to more effectively establish, lead, manage, and grow independent organizations in Cuba. The House Appropriations Committee today approved a bill that would have the National Endowment for Democracy, the State Department and the Agency for International Development sharing $30 million in Cuba democracy funds. The committee also ordered that "grants exceeding $1,000,000, or a period of 12 months, shall be awarded only to organizations with experience promoting democracy inside Cuba." Under the fiscal year 2016 State and Foreign Operations Appropriations bill, the U.S. government would spend $30 million to promote democracy in Cuba, up from $20 million in fiscal 2015. The Committee recommendation includes $30,000,000 for programs to promote democracy and strengthen civil society in Cuba, of which not less than $8,000,000 shall be for NED. 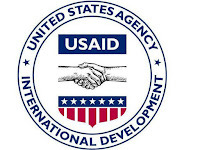 The remaining funds should be administered by DRL, the Bureau of Western Hemisphere Affairs (WHA) and USAID, and the Committee encourages these bureaus and USAID to consider the unique capabilities of the core institutes of NED in implementing similar programs. Interests Section has a piece of "The Stick"
While working as a correspondent for the Dallas Morning News in Cuba, I lived in Tarará, a seaside community about 12 miles east of Havana. My home was on the beach along Calle Cobre - rough life, I know. U.S. Interests Section employees rented a home a few doors down and evidently used the place to relax and get together on weekends. 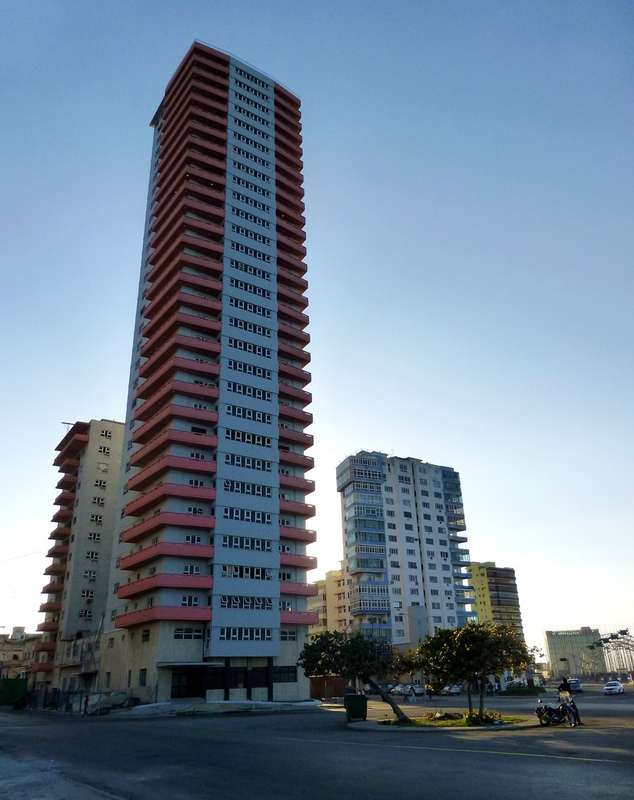 The U.S. government also rented homes in other spots, including Havana's posh Miramar neighborhood. I was looking through spending records earlier today and noticed that the Interests Section has another property: The penthouse of the Someillán building. A Cuban architecture blog describes the Someillán as slimmest building in Havana. Architect Fernando R. De Castro Cárdenas and structural engineer/architect José A. Vila Espinosa built it in 1957, the blog said. 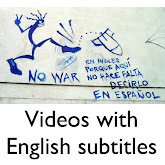 Another blog said the Someillán is "popularly nicknamed 'El Palillo,' or 'The Stick.'" I haven't been inside "El Palillo" for years. I once went there to interview Philip Agee, a CIA renegade who ran a travel business from one of the Someillán's top floor - I can't remember if it was the penthouse or not. Anyway, Agee had a beautiful view from his balcony. On June 3, the Interests Section paid $4,414.03 to Star Creations of Brooklyn, N.Y., for undisclosed items described as kitchen equipment and appliances for the Someillán penthouse, records show. Star Creations - which, strangely, is also listed as a modeling agency - is a "hardware superstore" and offers all kinds of appliances. The Interests Section also paid Caprice Electronics of Brooklyn, N.Y., $20,480.90 for kitchen equipment and appliances for the "Someillán apartments," records show. It's not clear if this is the penthouse or additional apartments. Other recent Interests Section purchases include $26,838 for tires and $14,250 for "cell phones for Americans." I stayed at the Hotel Nacional the first time I traveled to Cuba in 1994. My phone charges were way higher than I expected and I didn't have enough money to pay the hotel bill. I was short $35 or $40, but I had 15 or so rolls of unexposed 35mm film. I asked the desk clerk if he'd take that instead the cash and he agreed. Tim Golden of the New York Times lent me $25 so I could pay the airport departure tax, and I managed to get out the country. After that embarrassing episode, I always tried to make sure to bring more than enough cash to Cuba. 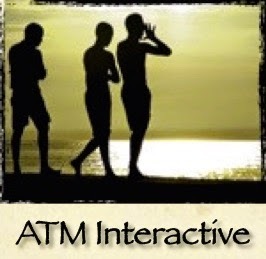 Cash is essential because U.S. law has long prevented Americans from using plastic in Cuba. Early this year, that changed. 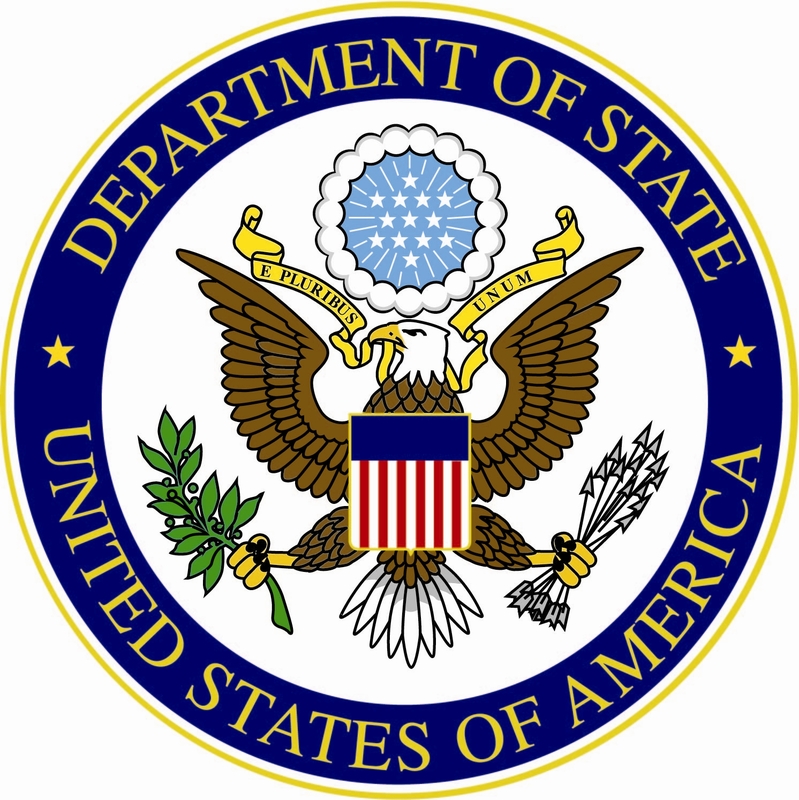 The State Department plans to award some $2 million in grants to organizations offering programs to protect the rights of lesbian, gay, bisexual, transgender and intersex persons in countries around the world, including Cuba. The department's Bureau of Democracy, Human Rights and Labor expects to hand out awards ranging from $100,000 to $500,000. The application deadline is July 10. Details are below. The Global Equality Fund, managed by the Bureau of Democracy, Human Rights, and Labor (DRL) announces a Request for Statements of Interest (SOIs) from civil society organizations to protect the human rights of LGBTI people. 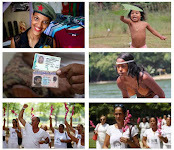 Launched in December 2011, the Global Equality Fund supports the work of civil society organizations working to protect and advance the human rights of LGBTI persons globally. The Broadcasting Board of Governors earlier this month signed a $2,291,666 contract with the maker of Ultrasurf, touted as "one of the world's most popular anti-censorship, pro-privacy" computer programs. BBG's contract records available online do not mention Cuba or disclose what countries the agency is targeting. However, Cuba has been a focus of the agency's Internet Anti-Censorship Division, or IAC. A 2013 BBG fact sheet on Internet censorship says the agency has provided Ultrareach's "anti-censorship, pro-privacy software to users worldwide who are subject to foreign government sponsored Internet censorship." Q And if I can just change subjects to Cuba for a moment. In Panama, the President said directly that the United States is no longer in the business of regime change in Cuba. 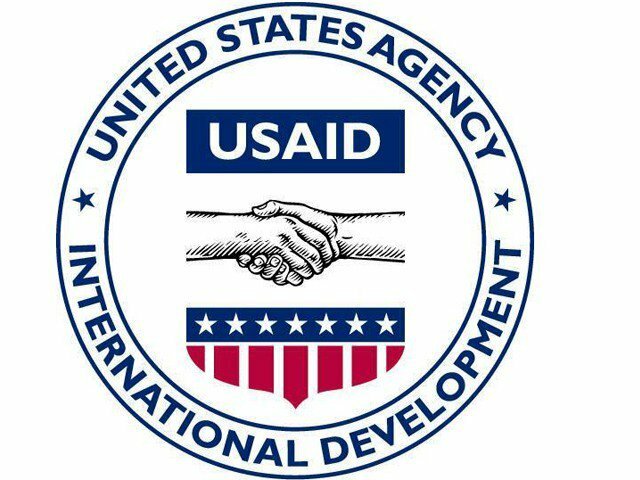 And yet, the United States, including this administration, continues to fund both the State Department and USAID to the tune of some $264 million since ’94, with specific programs operating inside Cuba, some of which have been embarrassing, as reported by the Associated Press. Why do we continue -- why does the United States continue to fund these programs? And now, as relations are very close to being normalized, do you see those programs being ended? MR. EARNEST: Well, Jim, for specific programs that are being operated by either USAID or the State Department, I’d refer you to those two agencies. But I will say that the U.S. government will continue to invest in efforts to strengthen the engagement between our two countries, between our two governments, and even between the citizens of our two countries. And this is a critical component of the strategy that the President announced at the end of last year; that for more than five decades, the United States had pursued a strategy to try to isolate Cuba to compel them to better respect the basic universal human rights of their people. And for more than five decades, we didn’t see much improvement in that regard. 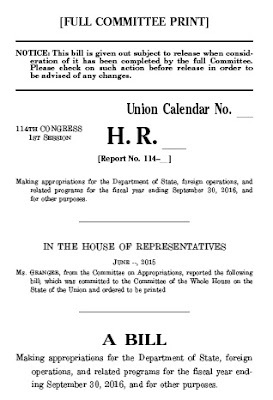 The House Appropriations Committee proposes boosting funds for Cuba democracy programs from $20 million to $30 million. Provided, That no funds shall be obligated for business promotion, economic reform, entrepreneurship, or any other assistance that is not democracy-building as expressly authorized in the Cuban Liberty and Solidarity (LIBERTAD) Act of 1996 and the Cuban Democracy Act (CDA) of 1992. (2) OFFICE OF CUBA BROADCASTING.—None of the funds appropriated or otherwise made available by this Act under the heading ‘‘International Broadcasting Operations’’ may be used to establish an independent grantee organization, as a private nonprofit organization, to carry out any and all broadcasting and related programs to the Latin America and Caribbean region, including Cuba, or otherwise substantively alter the structure of the Office of Cuba Broadcasting unless specifically authorized by a subsequent act of Congress: Provided, That the prohibition of this paragraph shall be construed to include the merger of the Office of Cuba Broadcasting and the Voice of America Latin America Division. (ii) to facilitate the establishment or operation of a diplomatic mission of Cuba, including an Embassy, Consulate, or liaison office, in the United States beyond that which was in existence prior to December 17, 2014. (B) The prohibition of subparagraph (A) shall not apply if the President determines and reports to the appropriate congressional committees that the government in Cuba has met the requirements and factors specified in section 205 of the Cuban Liberty and Democratic Solidarity (LIBERTAD) Act of 1996 (22 U.S.C. 6065).